Lot 748. 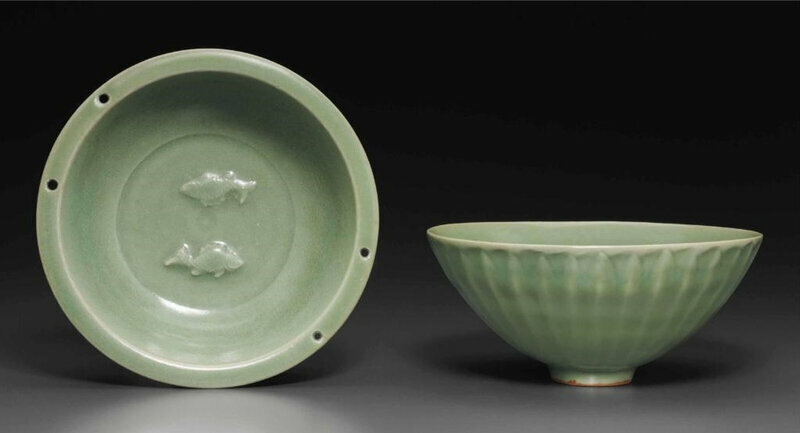 A Longquan celadon Guan-type censer, Southern Song dynasty (1127-1279); 5½ in. (14 cm.) wide. Estimate $10,000 - USD 15,000. Price Realized $12,500. © Christie’s Image Ltd 2014. 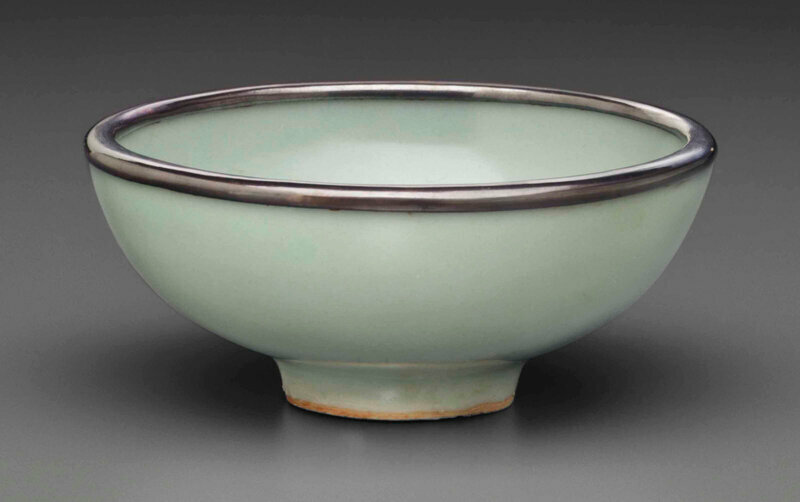 The censer is potted with a compressed globular body, flared rim, and is flanked by a pair of inverted dragon handles. 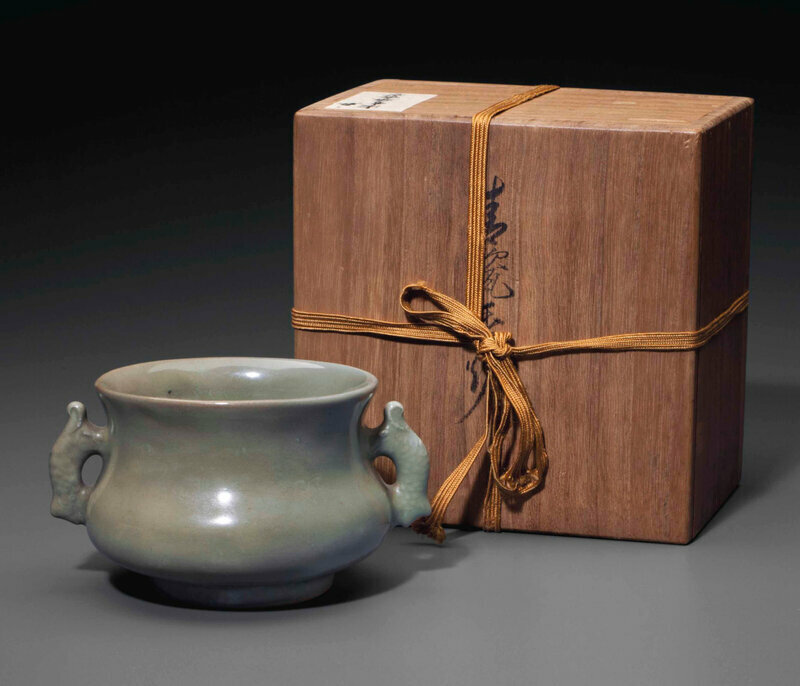 The vessel is covered allover in a greyish blue-green glaze, Japanese wood box.